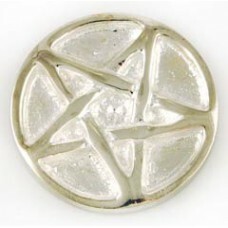 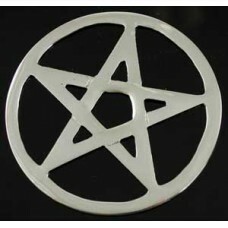 This heavy 1/2" thick smooth soapstone has a hand ground pentagram on its surface. 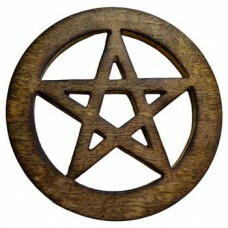 This makes a grea..
Functioning either as a large altar plate or as a Wall Hanging Pentagram, this wooden piece takes th.. 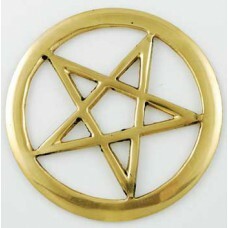 The timeless symbol of the pentagram has been created here, cut from brass so as to be a fine additi.. 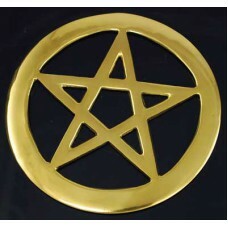 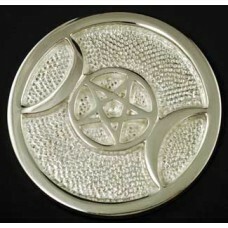 Representing the four elements united by spirit, or the divine, this brass pentagram is a powerful p.. 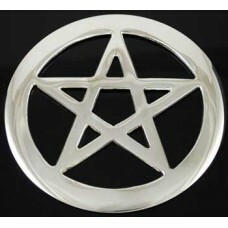 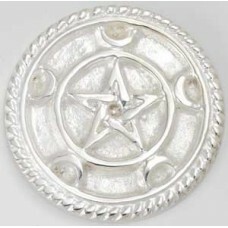 Ideal for use as a trivet for hot items on your altar or as a symbol of mysticism and magic, this la..
A lovely talisman that can be placed on your altar or within your mojo bag, the Pentagram Altar Coin..
A carved, interwoven pentagram, is 3Â” diameter and 3/8Â” thick, it can function as a coaster for yo..
Sculpted from a heavy weight, metallic disc, this open-cut pentagram approximately 3" diameter and 3.. 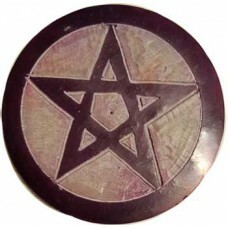 This wonderfully carved and stained wooden altar tile will fit in even the smallest of altar spaces ..
Bring the mysticism and magic of the pentacle into your sacred space with this 4", silver-plated alt.. 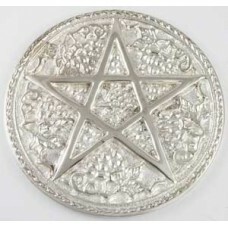 Surrounded by leafy scenes of harvest and abundance, this altar tile embraces the four elements and .. 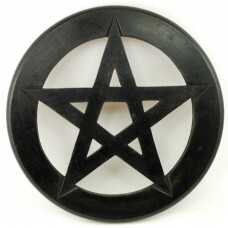 This wall hanging or altar tile has been carved from a solid piece of wood and stained black, and di..
Representative of the four elements ruled by the divine, this pentagram altar tile has been lovingly..